So, my injuries have mostly healed and I’m back on a bicycle, pedalling around the hutongs. It’s getting cold now, very cold, in Beijing, and I have to wrap up warm. I tend to wear my long riding coat, which goes down almost to my ankles and is lined down below my knees. Sometimes I wear a Budenovka (given to me by the Siberian, last heard of quitting yet another job and heading to Shanghai to look for work, and now not answering her phone, which worries me more than a little), and a red fleece kerchief covering all of my face bar the eyes. 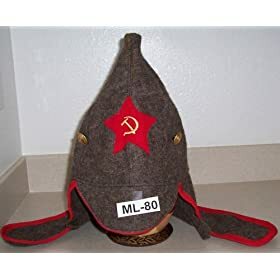 When I wear this, people laugh, or say “cool’ and “I want that hat’, and everyone always smiles and look me in the eye. Other times I wear a black beret from Klättermusen, and a black fleece scarf covering all of my face bar the eyes, and people look down, and step away, and won’t meet my gaze. The bike is the same; the coat is the same; the riding is the same – and yet, the reaction is so different. What’s the difference, I wonder, in the narrative people tell themselves when they see me?